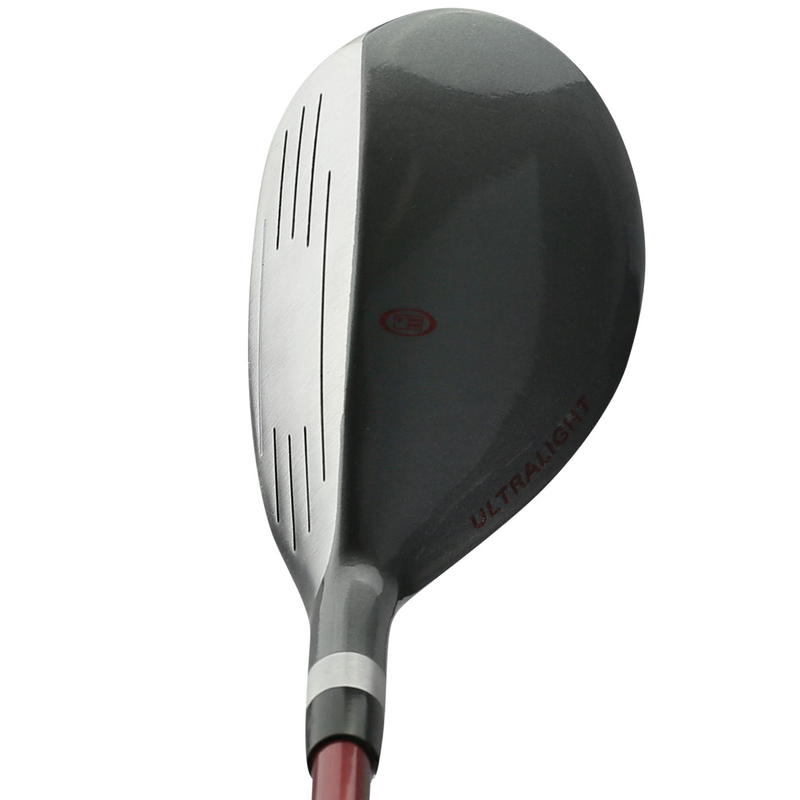 With a low centre of gravity and a more stable head at impact, this junior hybrid is much easier to hit than a long iron, while it also offers exceptional forgiveness for more consistent results. Also helping junior golfers to get the ball in the air with ease is the k-flex graphite shaft. This shaft is frequency matched, spined and flexible for slower swing speeds with an extremely low flex point. 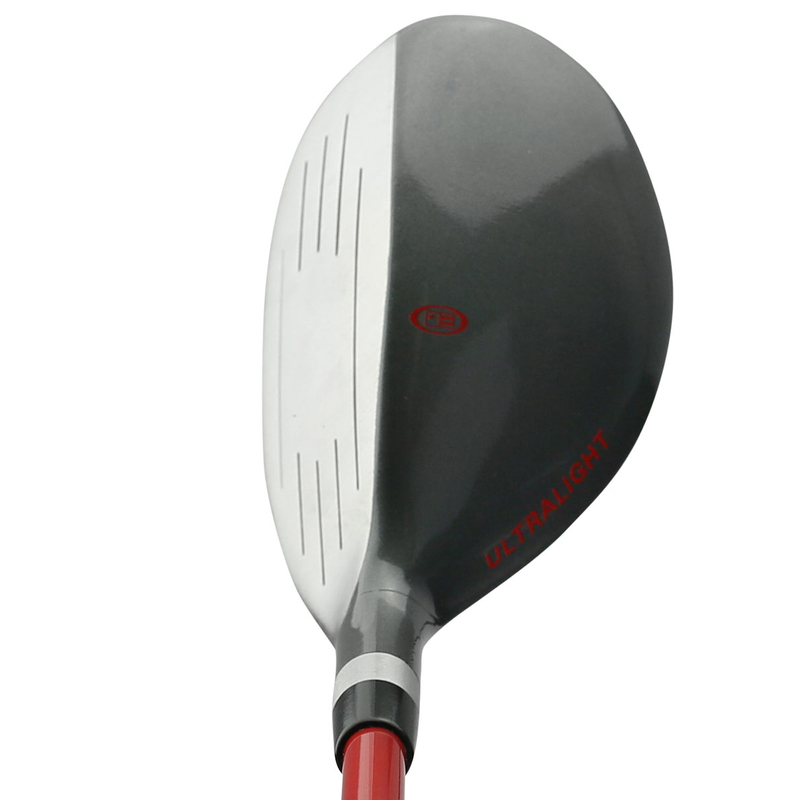 The red option is perfect for golfers within the height range of 39”- 42” (3-5 years old). 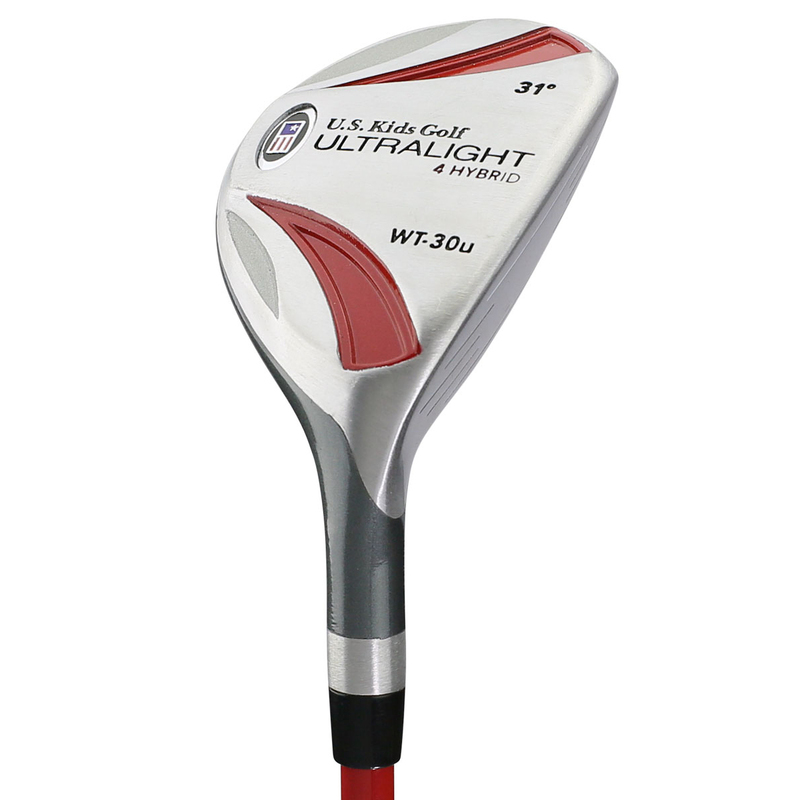 Compared to an adult club, this club is 30% lighter with 31 degree of loft. The full length of the club is 24” long. 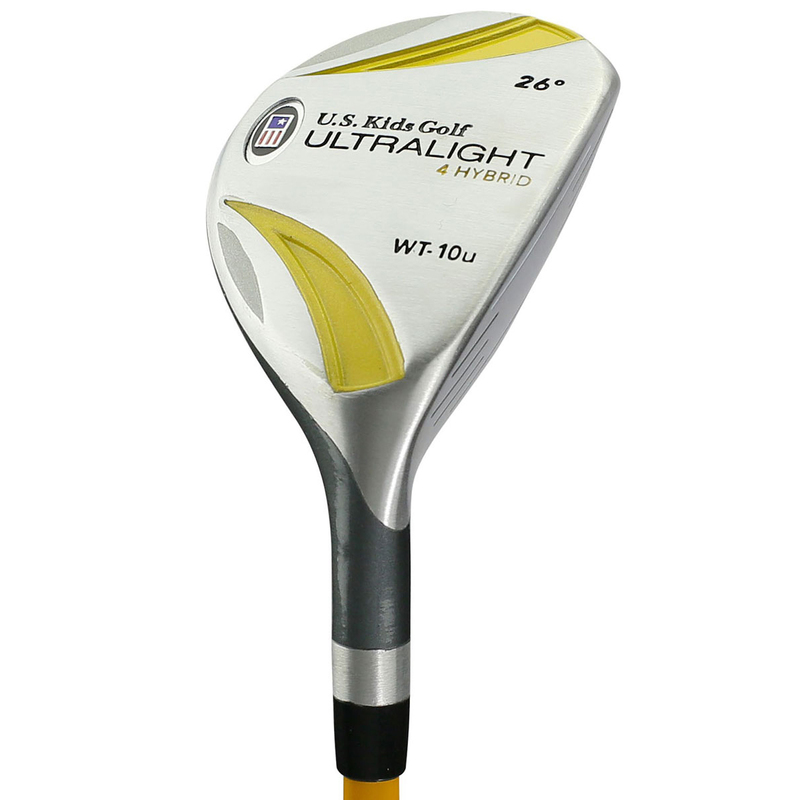 The lemon option is perfect for golfers within the height range of 42”- 45” (4-6 years old). 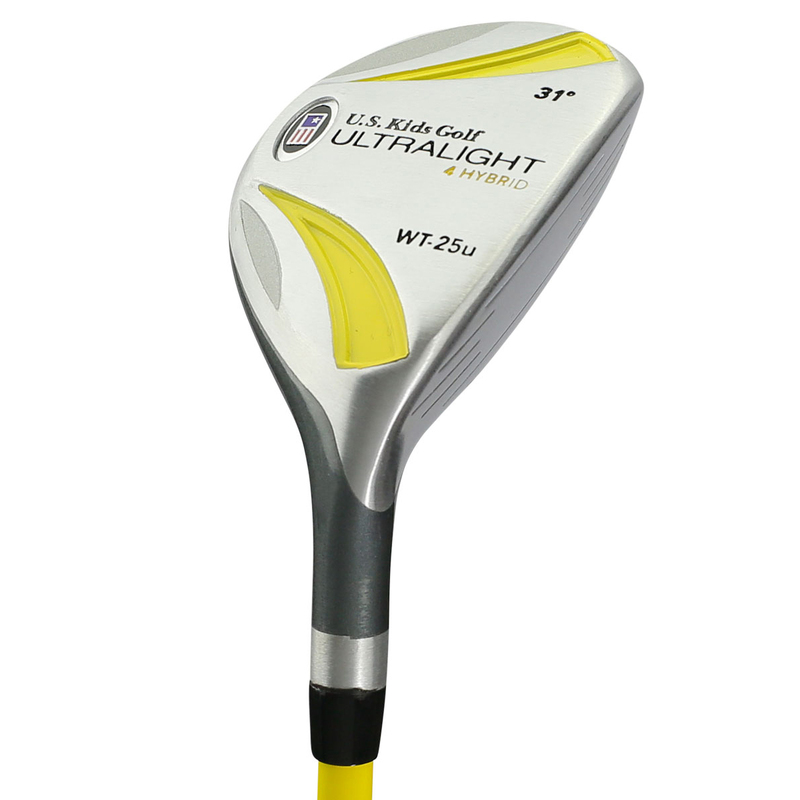 Compared to an adult club, this club is 25% lighter with 28 degree of loft. The full length of the club is 26” long. 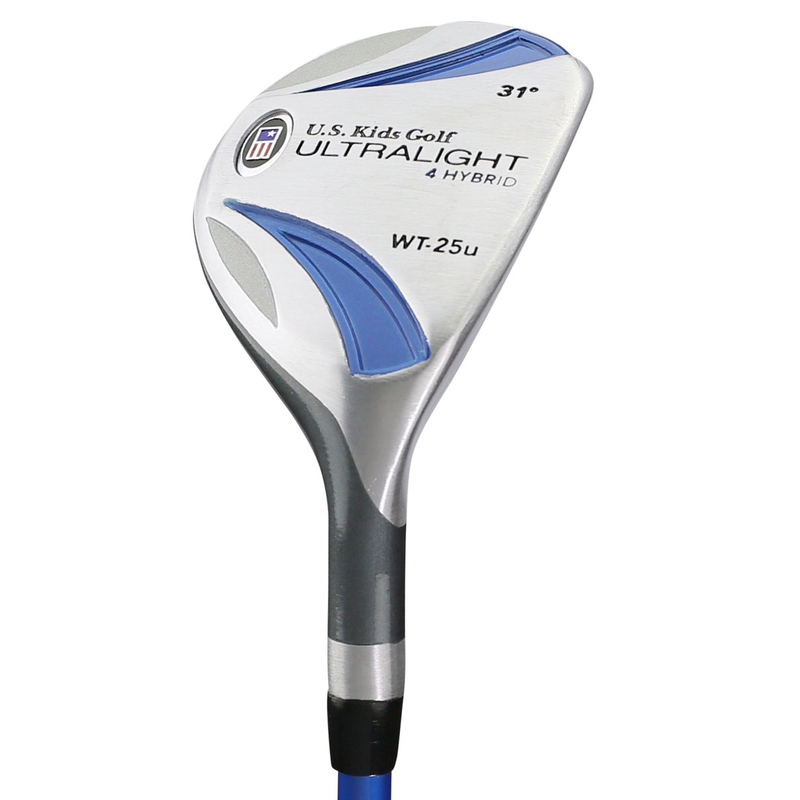 The blue option is perfect for golfers within the height range of 45”- 48” (5-7 years old). 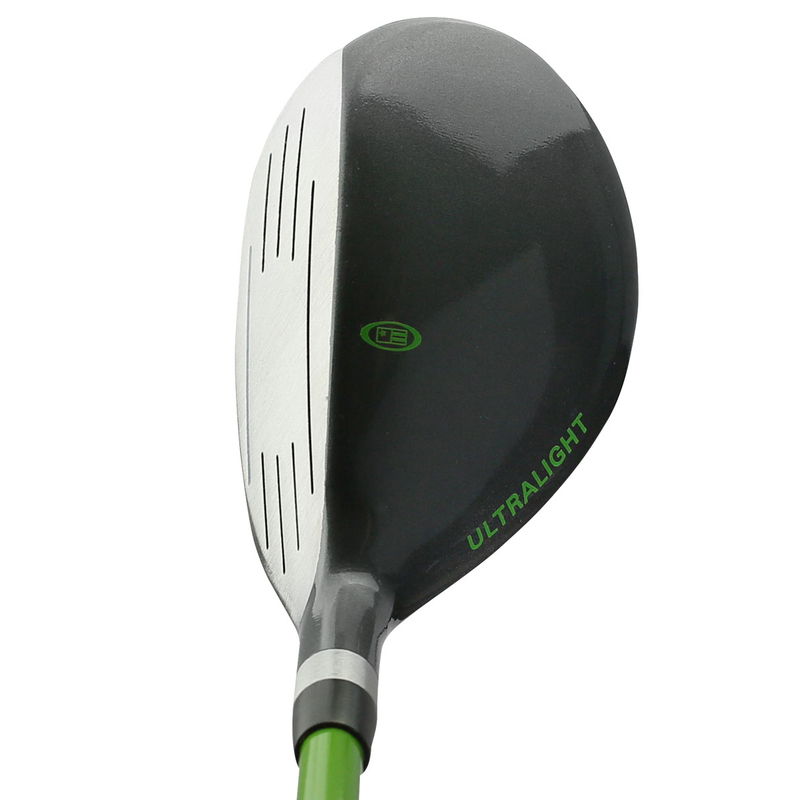 Compared to an adult club, this club is 25% lighter with 28 degree of loft. The full length of the club is 28” long. 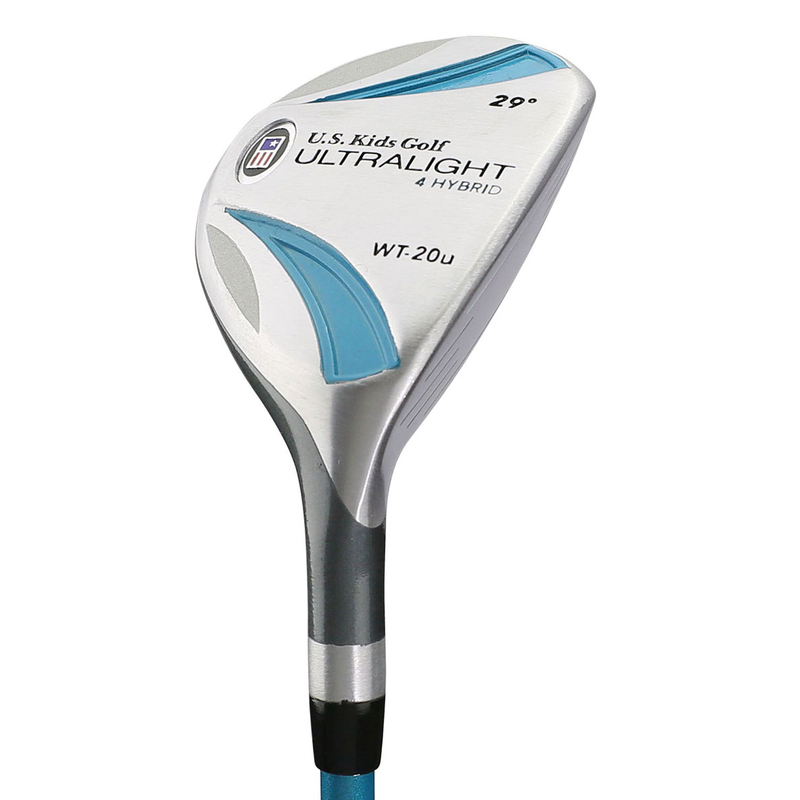 The light blue option is perfect for golfers within the height range of 48”- 51” (6-8 years old). 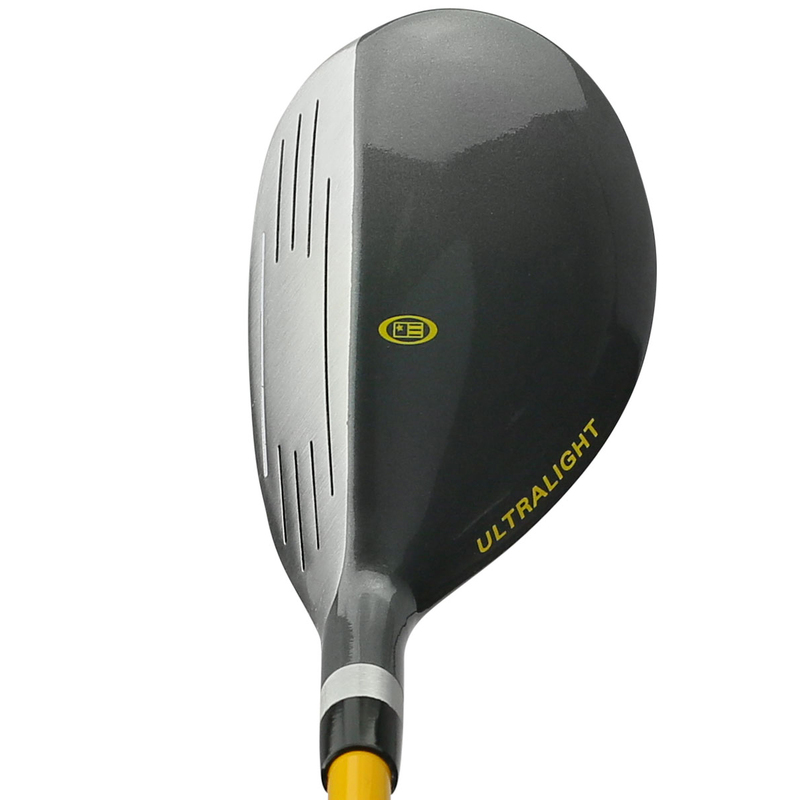 Compared to an adult club, this club is 20% lighter with 29 degree of loft. The full length of the club is 30” long. The orange option is perfect for golfers within the height range of 51”- 54” (7-9 years old). Compared to an adult club, this club is 20% lighter with 29 degree of loft. The full length of the club is 32” long. 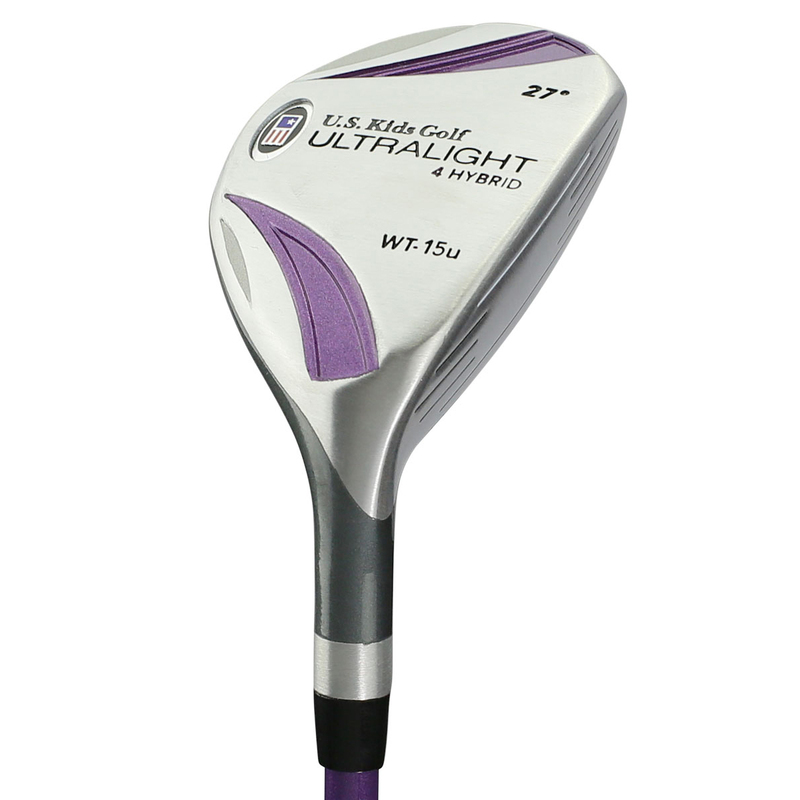 The purple option is perfect for golfers within the height range of 54”- 57” (8-10 years old). 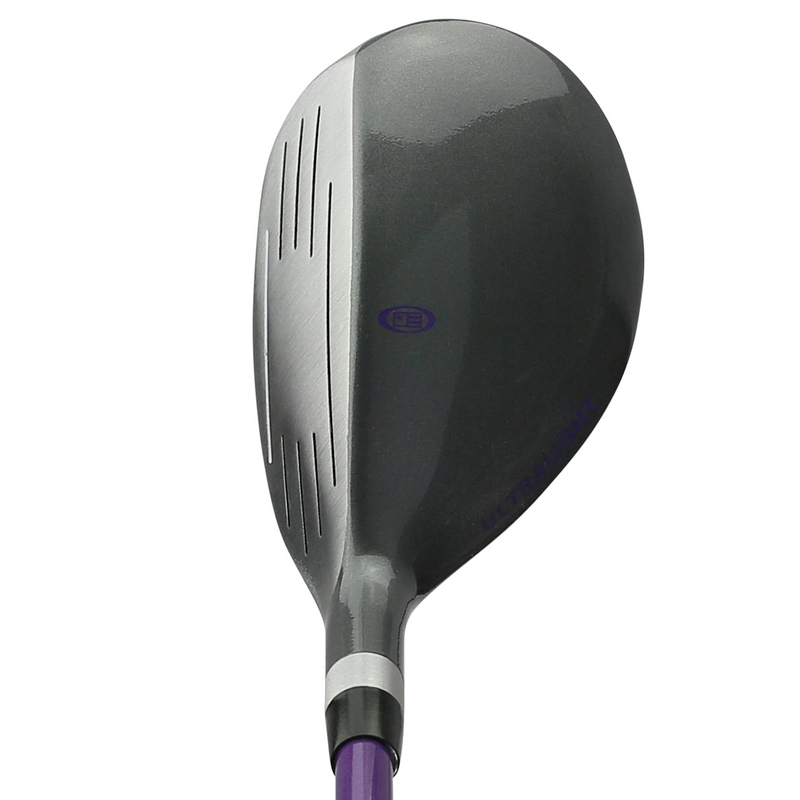 Compared to an adult club, this club is 15% lighter with 27 degree of loft. The full length of the club is 33” long. 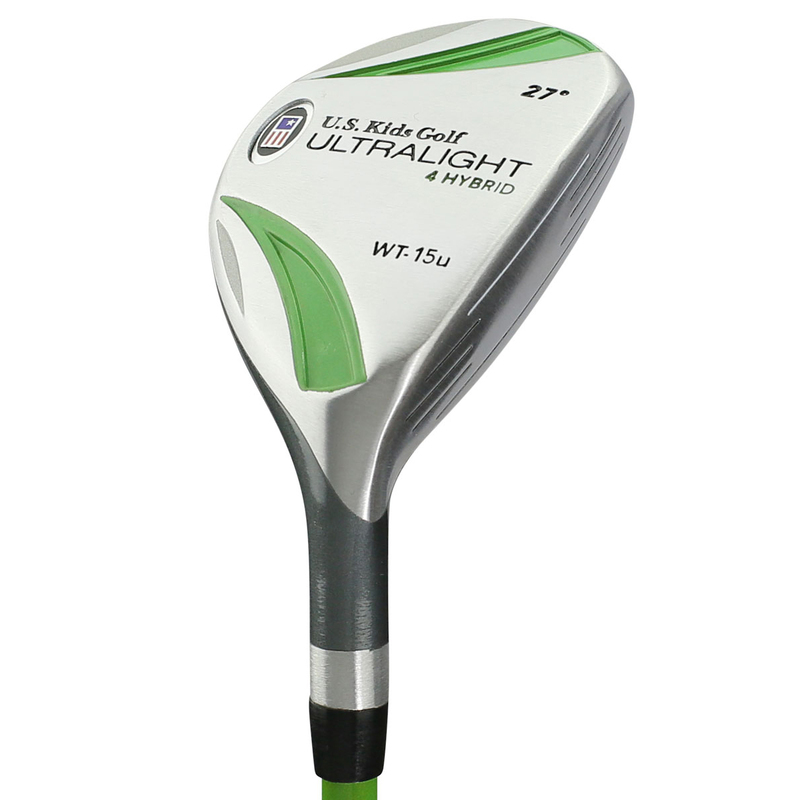 The green option is perfect for golfers within the height range of 57”- 60” (9-11 years old). Compared to an adult club, this club is 15% lighter with 27 degree of loft. The full length of the club is 35” long. 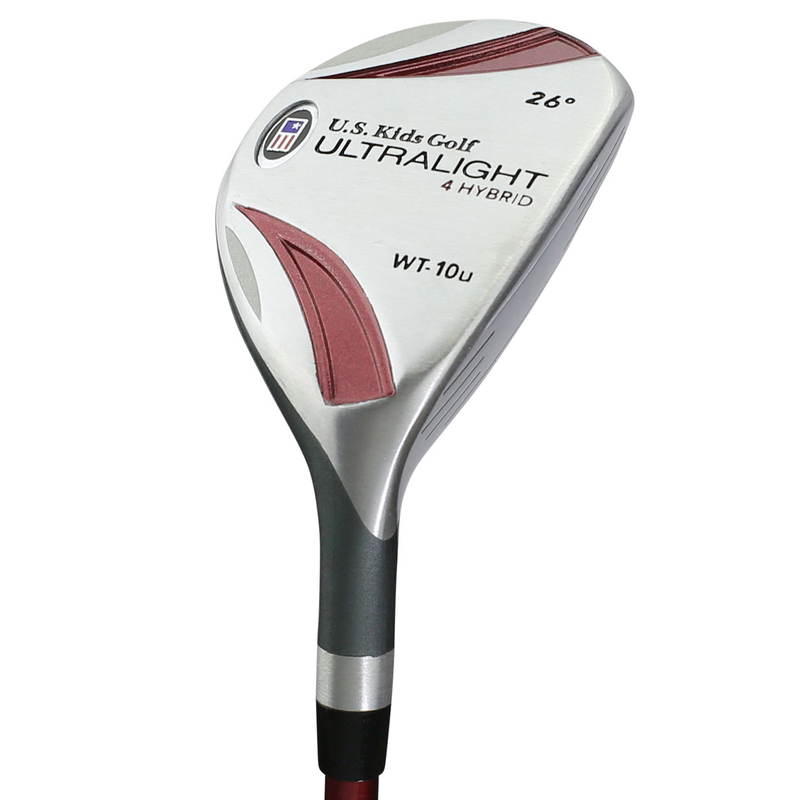 The maroon option is perfect for golfers within the height range of 60”- 63” (10-12 years old). 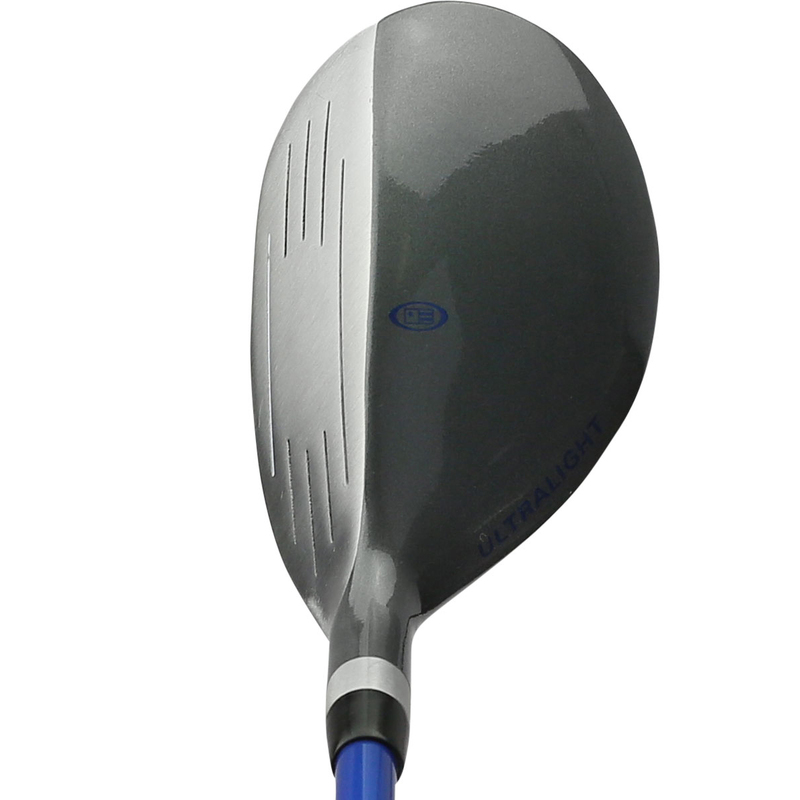 Compared to an adult club, this club is 10% lighter with 26 degree of loft. The full length of the club is 36.5” long. The yellow option is perfect for golfers within the height range of 63”- 66” (11-13 years old). 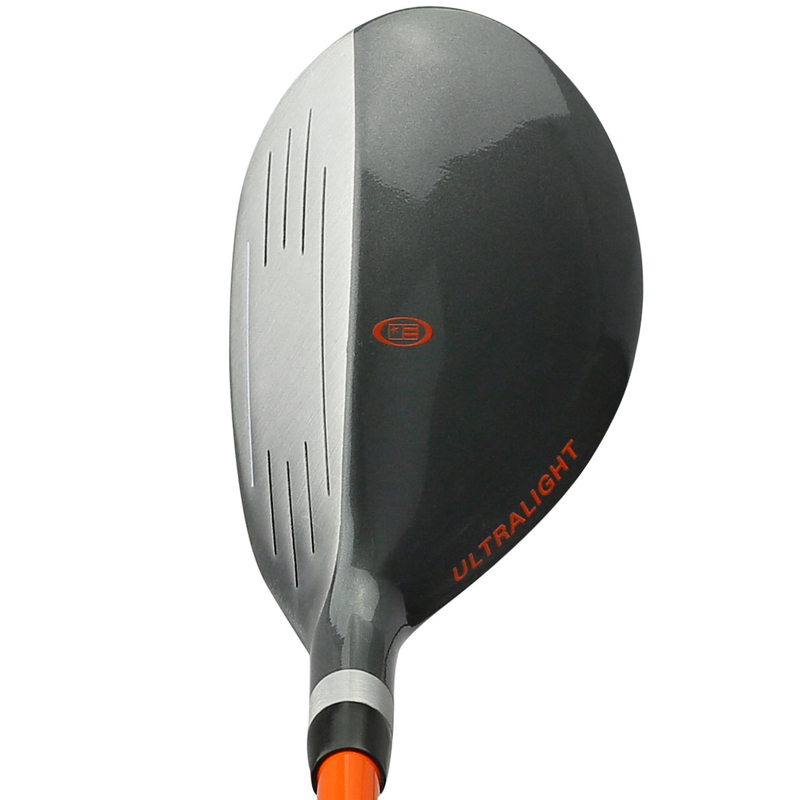 Compared to an adult club, this club is 10% lighter with 26 degree of loft. 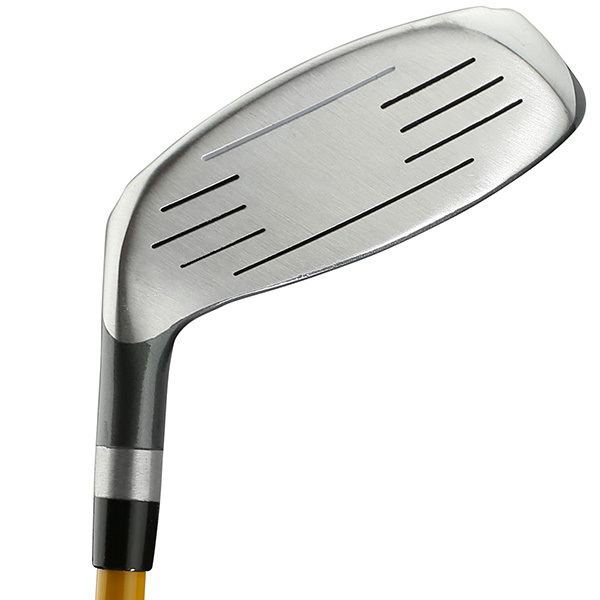 The full length of the club is 38.5” long.